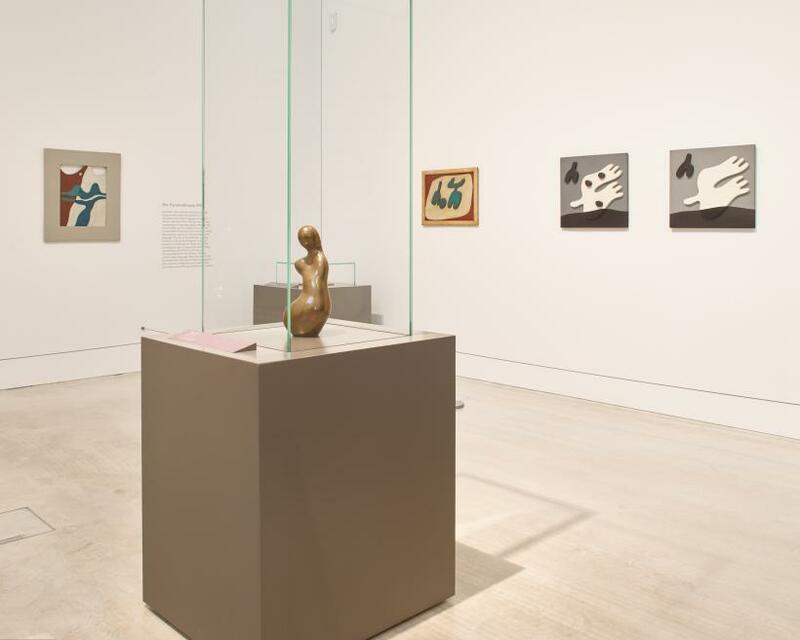 Title : Installation view of Jean Arp: The Poetry of Forms at Turner Contemporary, Margate. 13 October 2017 - 14 January 2018. 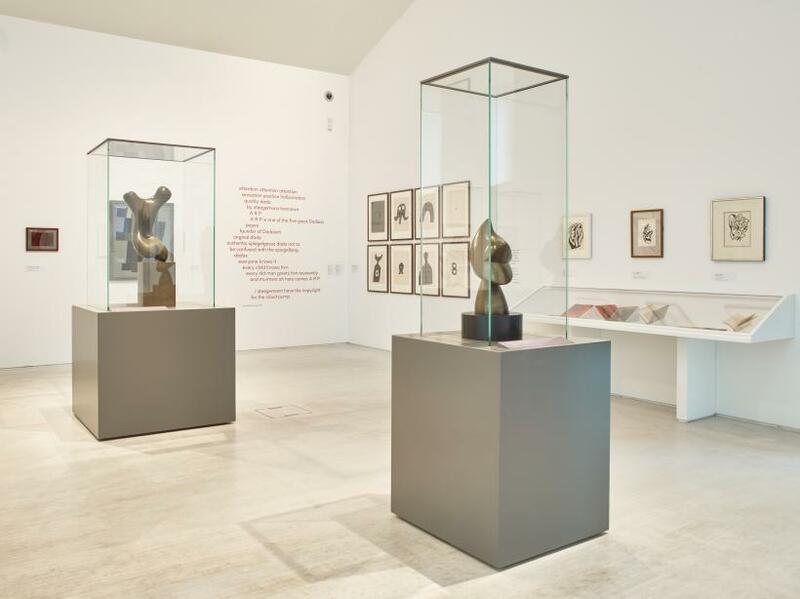 In the first exhibition of Jean or Hans Arp’s work in the UK since his death in 1966, Turner Contemporary exhibits a selective retrospective of the multi-linguist’s works and ideas spanning from early Dadaist pieces such as the poem ‘Kaspar ist tot’ (1912) to the sculpture, ‘Étoile’ (executed in 1939, cast in 1966), a hollow melting star that marks his grave in Locarno. 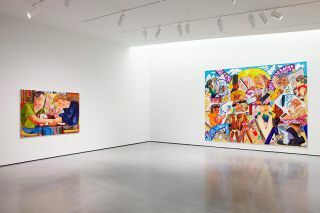 Multiplicities and openings-out permeate throughout this show, beginning with the two names Arp used to refer to himself (Jean when speaking French, Hans when speaking German), then manifesting in the interdisciplinary nature of his works that slip from poetry to sculpture to painting to papier-froissé of torn paper collages, in the series of prints and repeating motifs of an ‘object language’, and further into the focus on conceptual and material collaboration with others. 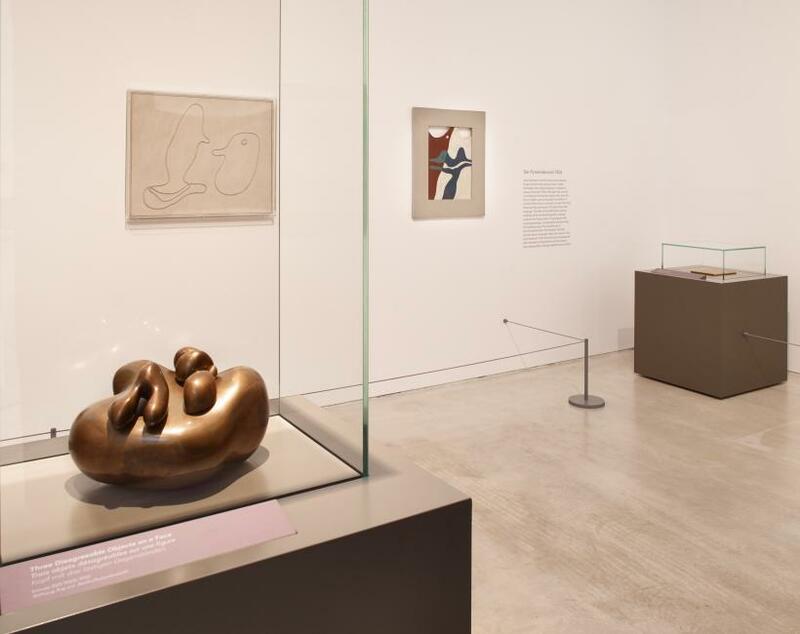 Immediately the relationship between Arp’s poetry and ‘form-making’ is concretised in the exhibition’s first room, which focuses on Dadaism and Arp’s sustained concern with collaboration and artistic creativity. Here, Arp’s works with Romanian-French Avant-gardist poet, Tristan Tzara are displayed in book-form, along with ‘7 Arpaden’ (1923), a series of symbolic blocky wood-prints that were published in Kurt Schwitters’ literary journal ’Merz’. The ‘poetry of forms’ extends from the visual works to interact with the gallery space, and Arp’s early poems are printed on to the walls in altered structures (curved shapes and diagonal indents) to fuse with the plastic arts on display. 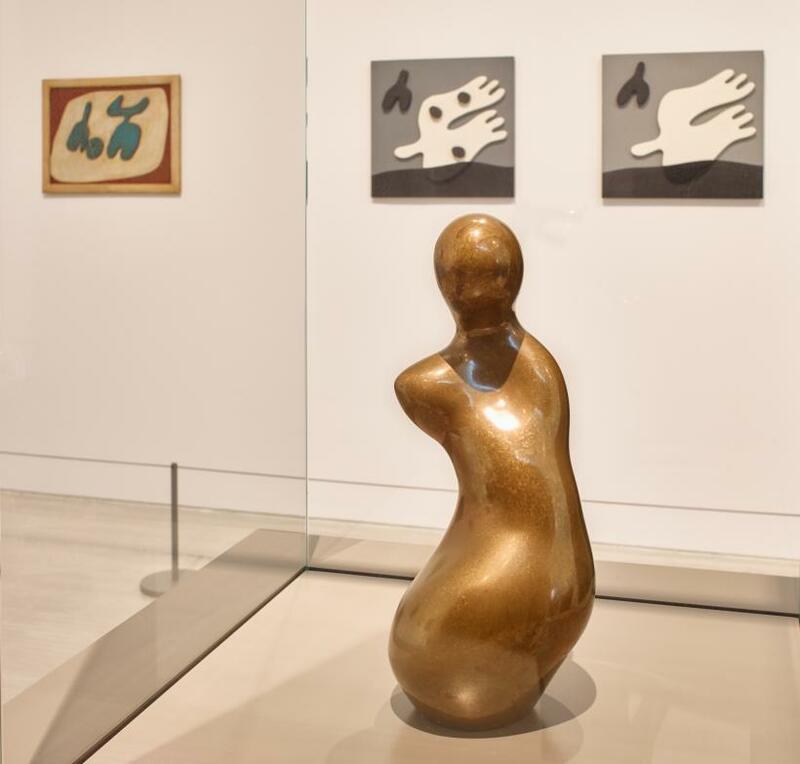 There’s an enticing progression along the wall leading from the first to second room of the show, in which Arp’s works take their first steps out from the surface. ‘Static Composition’ (1915) an oil painting of coloured blocks in dark muted tones is followed by ‘A la suite d’un papier colle’ (1914), a rose-toned needlepoint tapestry (I can feel the treasured trace of Sophie Taeuber-Arp’s own textile art here), and then to early wood-reliefs that grow into multi-layered, stacked assemblages as I walk deeper into the room and deeper into an orbit of Arp’s constructions. 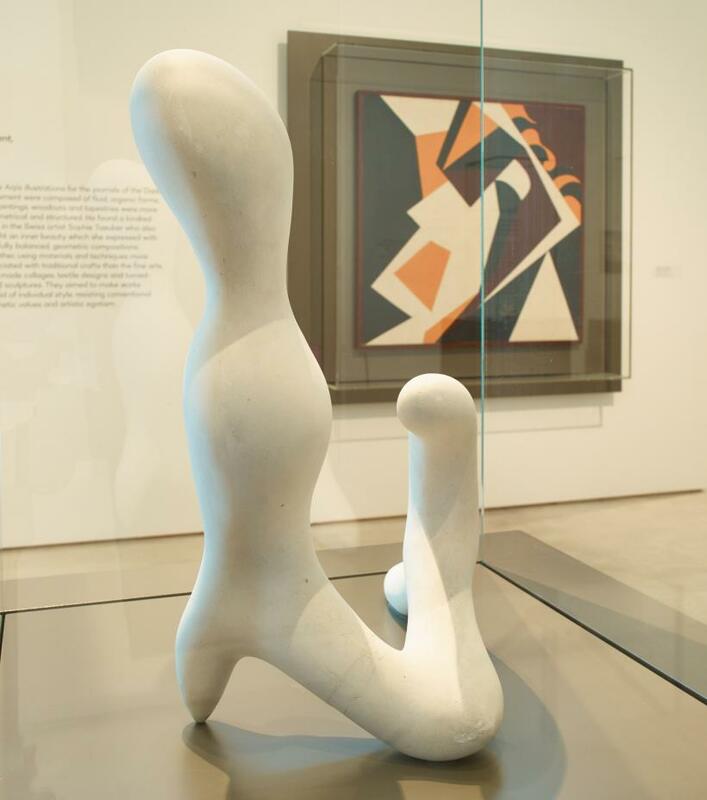 In 1914 Arp described this progression of his sculptural work in how it ‘had expanded in space. My sculpture little by little had emerged from the wall’, but there is an occasional jolting on this stream of emergence in the exhibition due to the framing and boxing-up of some of the works. The glass boxes and surrounding thick glossy brown frames flatten the grain-textured surfaces, and weigh down the tactility and silhouettes of the wood-reliefs to draw them back into the walls they’re intended to emerge out from. Repetitions and multitudes continue into Arp’s sensual-abstract sculpture series ‘concrétions’ where I notice the two casts of ‘Sculpture to be lost in the forest’ (1932, cast c.1953-8) in plaster and bronze. This intimate piece that hesitates in a balance of curving natural forms calls for an awareness to creation in nature through Arp’s artistic creativity. Arp’s belief in the collaborative element of his work suffuses in this approach to sculpture where the works on display are a careful dialogue between the artist, nature and the spectator. These dulcet compositions offer the viewer a reflective encounter with potential energy and interchangeability of form due to the sculptures’ unfixed physicalities and replications in different materials. The exhibition continues to explore Arp’s fascination with variation and language in the monochromatic biomorphic shapes of wood-reliefs in the series ‘Constellations’ and the recurring motifs of clouds, stars and navels, which through variation and repetition confirms a specific vocabulary of ‘object-language’ that seeps out of Arp’s visual and poetic creations. 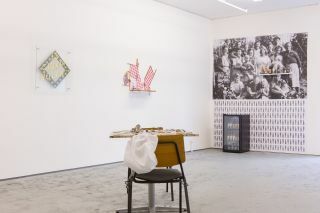 Among these interchanging patterns and Arp’s recognisable synaesthetic language that translates from form to form, is offered the potential exploration of chance: ‘According to the laws of chance’ (1933) and an untitled ‘papier froissé’ collage (1947) made from a collaborative drawing with Sophie Taeuber-Arp eight years earlier are exhibited. 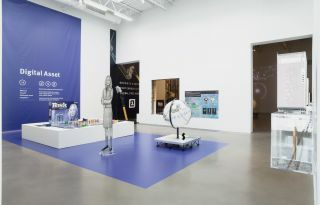 This notion of chance hovers in the last section of the exhibition called ‘A Return to Form’ and is not engaged with directly but reveals itself through the kinds of works Arp was creating toward the end of his career and after the grief he experienced following his wife’s untimely death. The tender heteronym of human ‘tears’ and ‘tears’ of paper comes to mind at this point in the exhibition where destruction, recreation and the shadow of Taeuber-Arp’s death is enfolded within Arp’s later paper works. 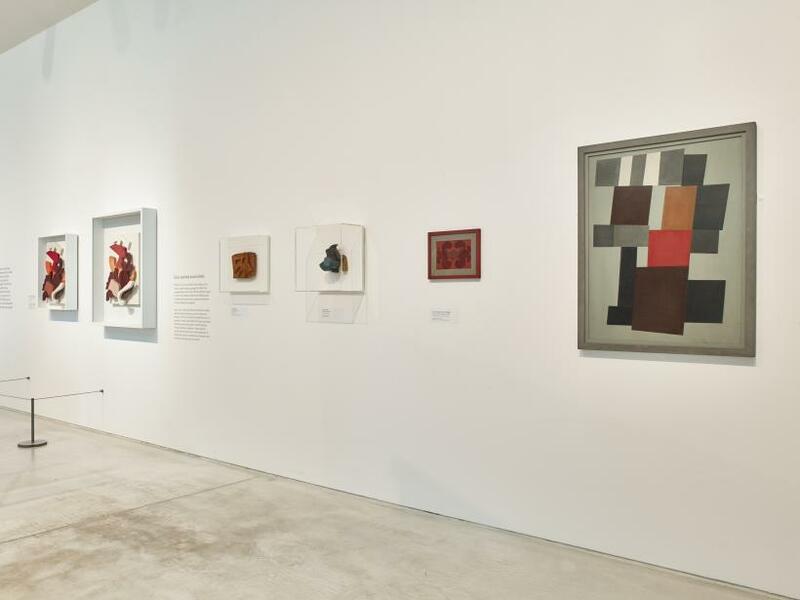 Continually playing with language, form and collaboration with others, the Turner Contemporary exhibition displays Arp as true multi-linguist in the sense of his synesthetic capabilities and concerns with the poetics of creativity as an artist.